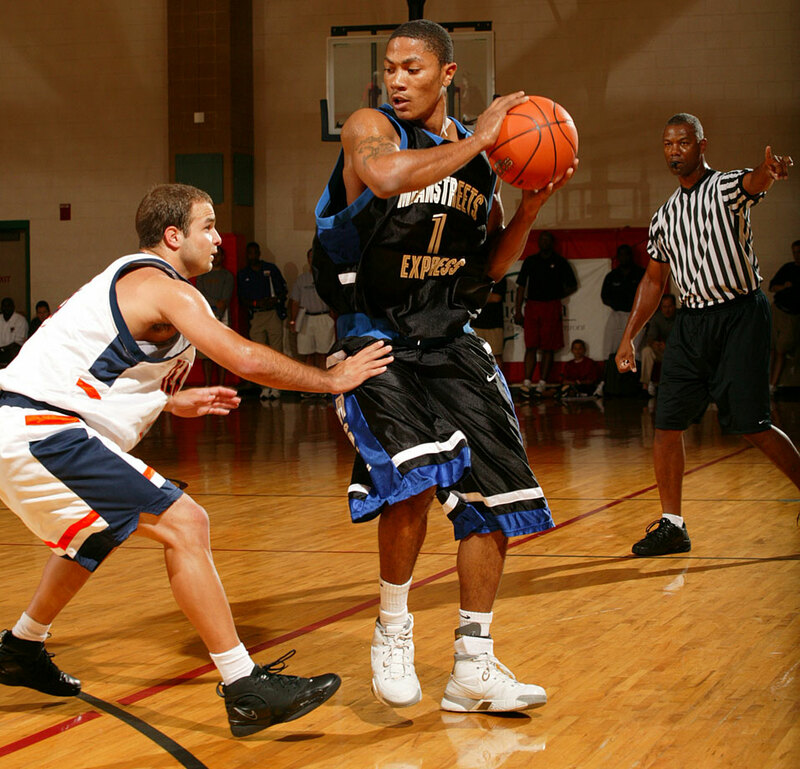 The saga of Derrick Rose’s legs has begun a new chapter, and this time around there’s a stranger sense of mystery. CHICAGO -- The saga of Derrick Rose’s legs has begun a new chapter, and this time around there’s an even stranger sense of mystery. There’s nothing visceral, no replay searing into the imagination, no writhing on the baseline or sickening grimace. Nobody within Bulls organization seems to know when or how it happened, nor does Rose, whose MRI on Tuesday sent a shock around the league. Since the news broke Tuesday night, here’s all we know. The concrete: another meniscus tear, another Bulls season in total flux. A flat 98-86 loss to the Charlotte Hornets at home on Wednesday, and a team mentally and emotionally taxed by the past 24 hours. ​In the abstract, there’s a long-standing truth inching closer and closer to reality: the thought that Rose’s stars might now be fully crossed. With a third surgery on the horizon, that notion, which the Bulls, and the city of Chicago have spent close to three years trying to avoid, carries with it a new gravitas. Rose did not report to the United Center for the game, staying out of the public eye with the details of his surgery still cloudy. As his teammates struggled down the stretch against Charlotte, the effects of his latest extended absence were tangible. The veteran tandem of Aaron Brooks and Kirk Hinrich, filling in at point guard, combined for 20 points on 8-of-21 shooting. Chicago worked it inside, playing through Pau Gasol and Joakim Noah, but could never quite open the Hornets up. The Bulls made just three of 17 three-pointers and shot 65 percent from the line. The Bulls have been here before, departing quietly from the playoffs three straight years without their star, different players filling in admirably but unable to make up the difference. Though Rose drew plenty of criticism for his shot selection and turnovers this year, his ability to simply bend defenses and draw attention can’t be undersold. After a night that hearkened back to the struggles of the past, Noah called the team “a little bit drained” mentally. The nature of these crises, particularly three times around, often leads us to assume the worst. The frustration and uncertainty cut even deeper in Rose’s hometown, where fans had clung to each flash of the old Derrick, and where the lottery balls said he never should have landed at all. Back then, the story felt too good to be true, and now, perhaps that’s the case. Jimmy Butler, who spoke with Rose both Tuesday night and Wednesday morning, called his teammate “high-spirited.” Reports have indicated the tear may not be quite as serious, leaving open a foggy possibility for Rose’s swiftest comeback to date. When asked about his teammate potentially returning before season’s end, Butler ruled nothing out. ​Players trickled slowly out of the locker room after the game, keeping comments short but maintaining unified support. An “angry” Noah was audibly frustrated. Until the team reveals the plan for Rose’s surgery, it’s wait and see. Chicago’s aspirations, for the long-term, not just the post-season, stand diminished, yet still shrouded by the doctors’ timetable. This time, for now, the mystery is the only comfort left to cling to. 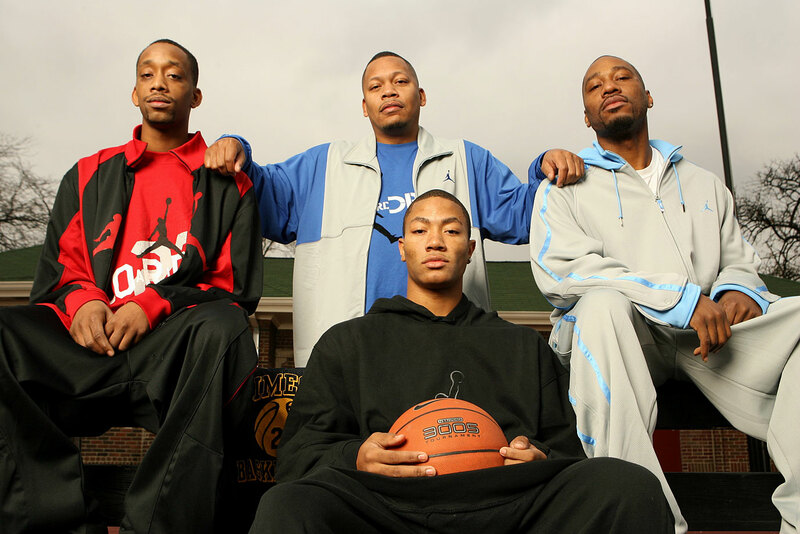 Derrick Rose learned how to play from his older brothers Dwayne, Reggie and Allan. 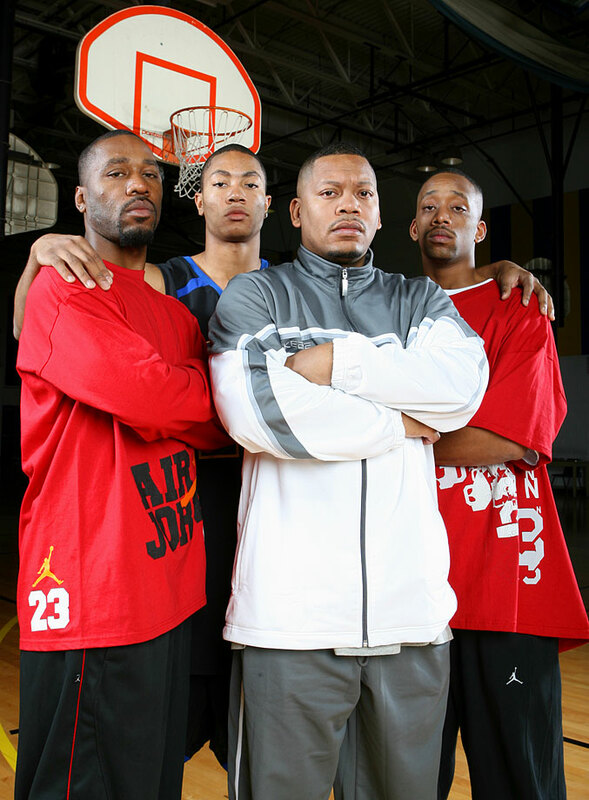 As Rose's mother, Brenda, told Sports Illustrated's George Dohrmann in 2006: "His brothers knew basketball, I didn't. I told them to handle it. Rose's family controlled nearly every aspect of his high school career and recruiting process to keep him on the right path in Chicago. 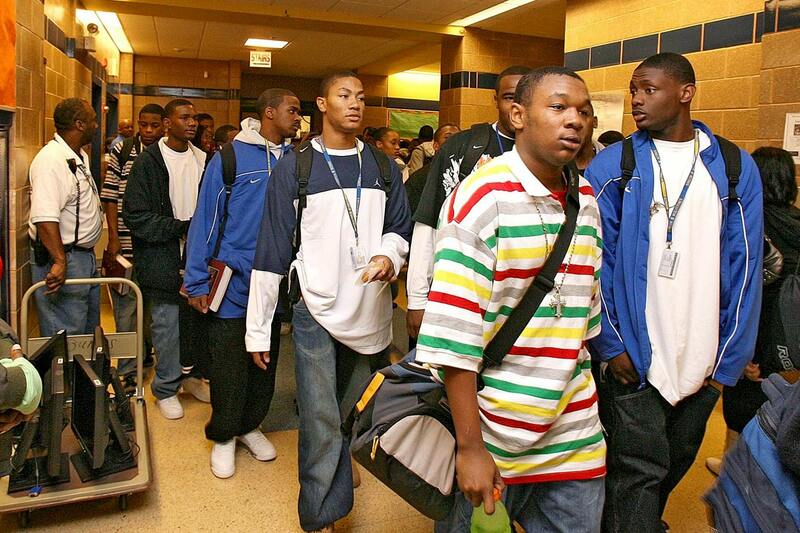 In fact, Reggie formed his own AAU team, the MeanStreets Express, to coach Derrick. Rose's brothers guided him through everything, from getting dropped off at school, to monitoring nearly every facet of the recruiting process, which started before Rose even got to high school. 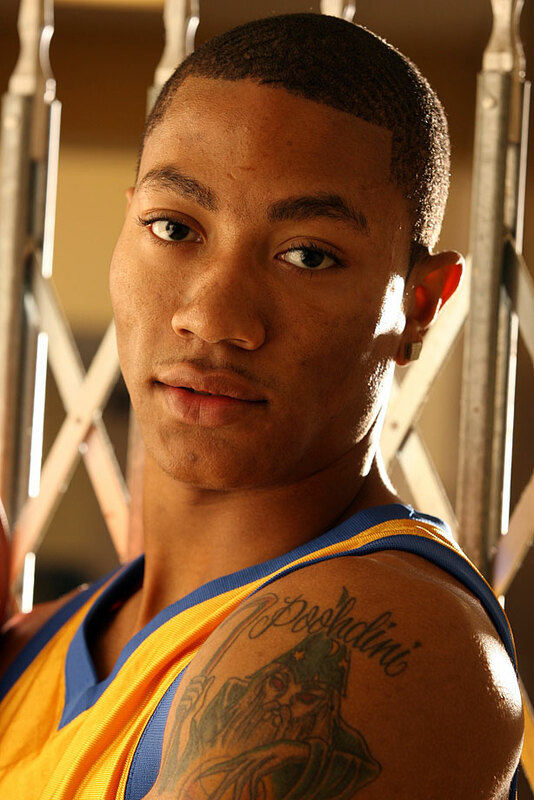 Derrick Rose enrolled at Simeon in 2003, but because of a longtime rule by coach Bob Hambric, Rose had to start on the junior varsity squad, and wasn't allowed to speak to media until the end of his junior season. 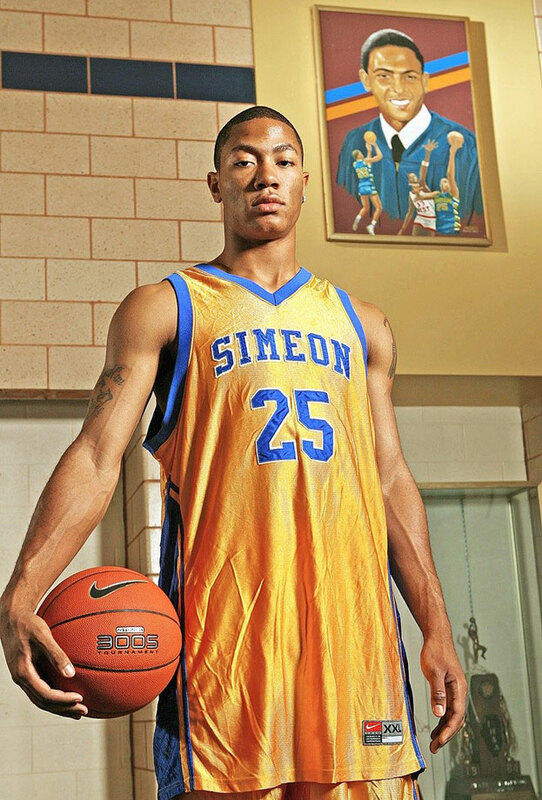 Derrick Rose's numbers jumped from 18.5 points per game to 25.5 from his freshman to senior seasons at Simeon. 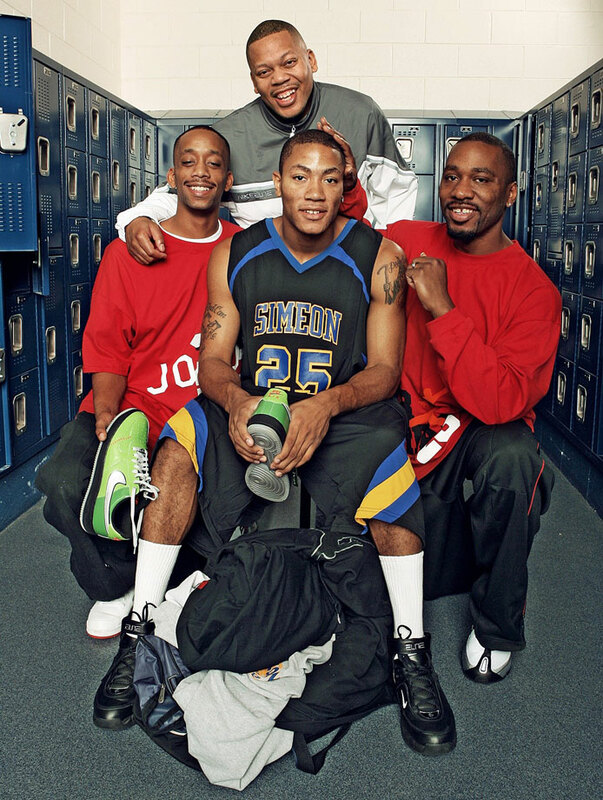 Derrick Rose's high profile at Simeon helped a number of his teammates earn recognition, as well. 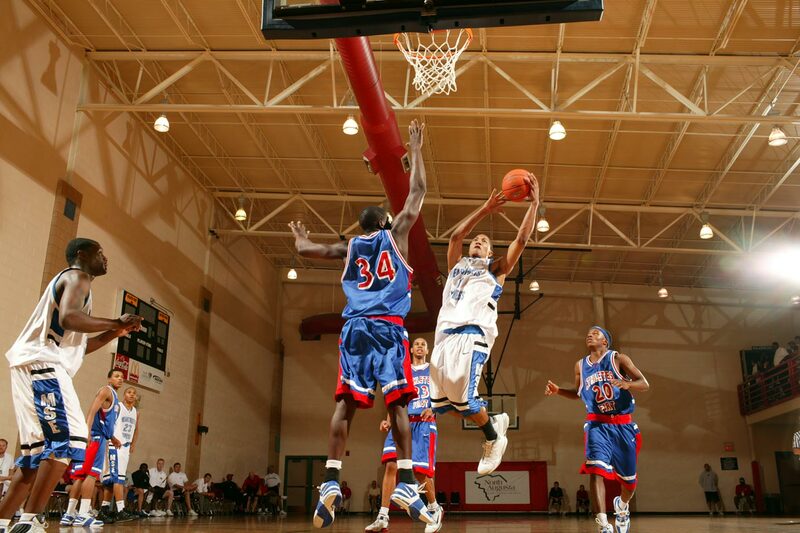 After his junior year of high school, Derrick Rose already had a Class AA championship and Tournament MVP under his belt. 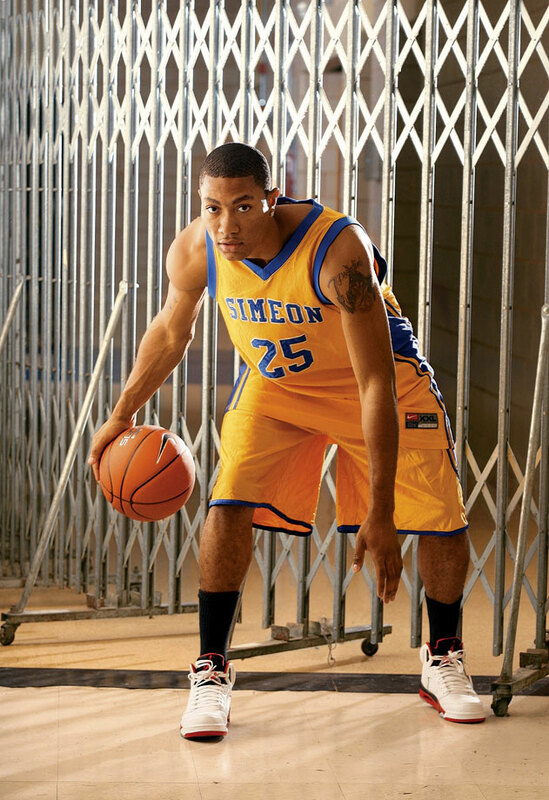 With Derrick Rose leading the way, Simeon also won back-to-back state titles to become the first Chicago Public League school to achieve the feat. The Wolverines' overall record during Rose's career was 120-12. 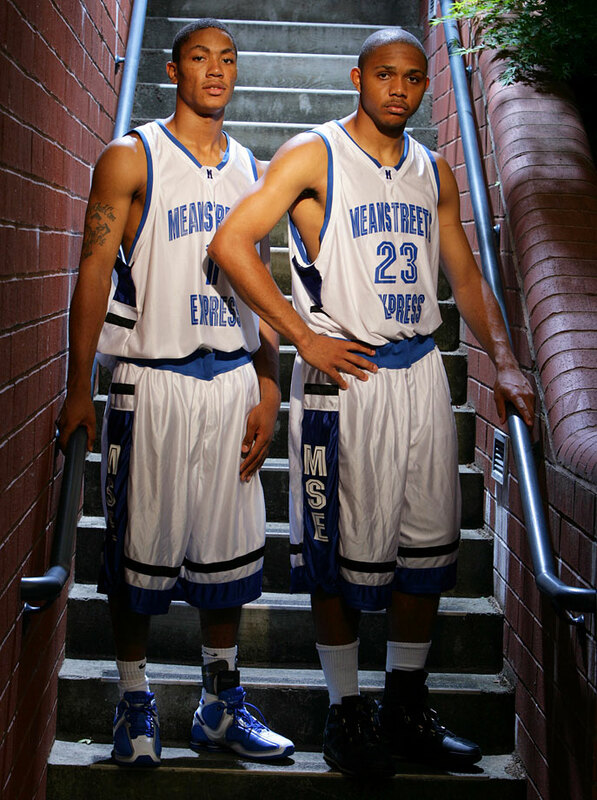 During the summers, Derrick Rose and Eric Gordon — then an Indiana prep star — locked down the backcourt of the MeanStreets Express, leading the AAU team to the 2006 Nike Peach Jam championship, an invitation-only tournament for the country's finest teams. The MeanStreets Express played against a slew of future NBA stars, including Brandon Jennings, Kevin Love and O.J. Mayo. 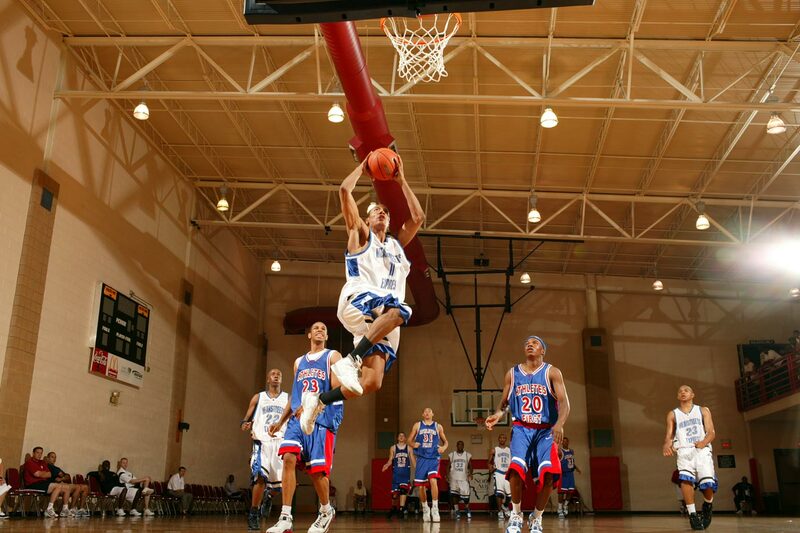 At the 2006 Peach Jam tournament, Derrick Rose put up 21 points, 14 rebounds and 12 assists in a matchup with O.J. 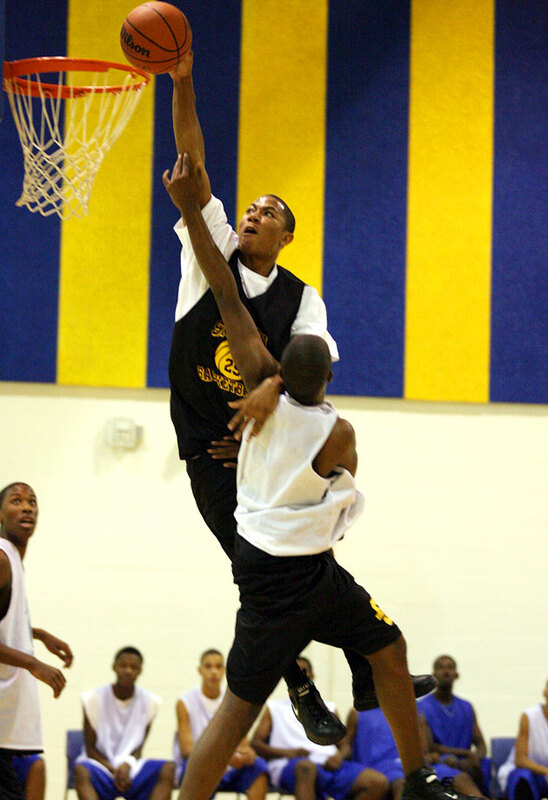 Mayo, then considered the best guard in the class of 2007. 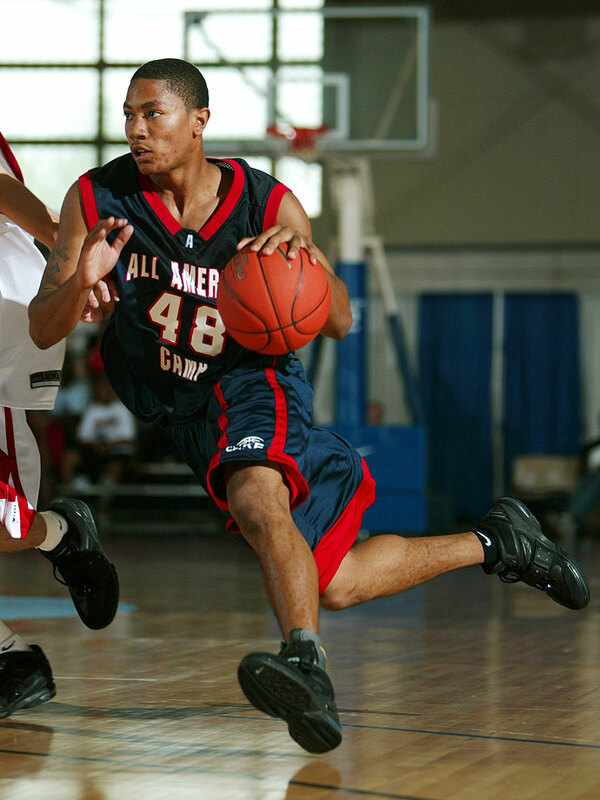 Derrick Rose was ranked among the top five players in the class of 2007 and was arguably the best player to come out of the Windy City in years. Derrick A month before his impressive showing against O.J. Mayo, Derrick Rose played with an injured hand — his shooting hand — and still managed to score 12 points, using only his left. In a nationally televised game against Oak Hill, the No. 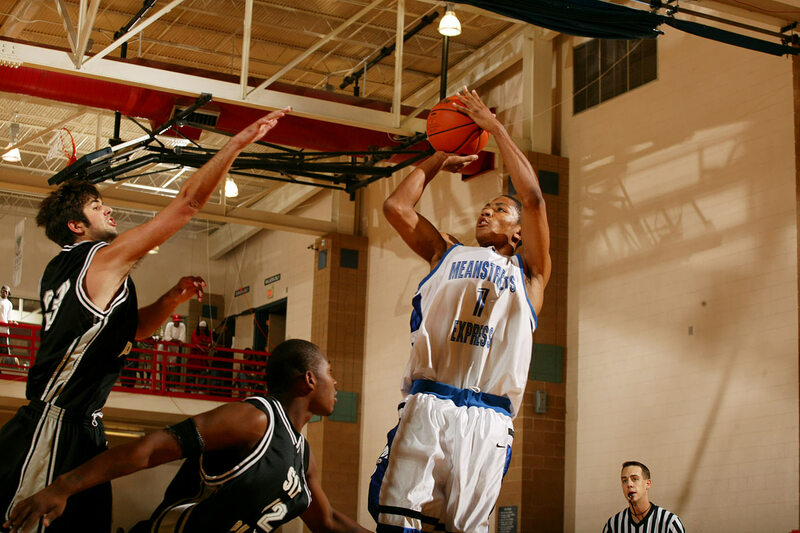 1 team in the nation, Derrick Rose poured in 28 points and nine assists and grabbed eight rebounds in a 78-75 win. He was matched with Brandon Jennings, whom he held to zero points over the first three quarters. 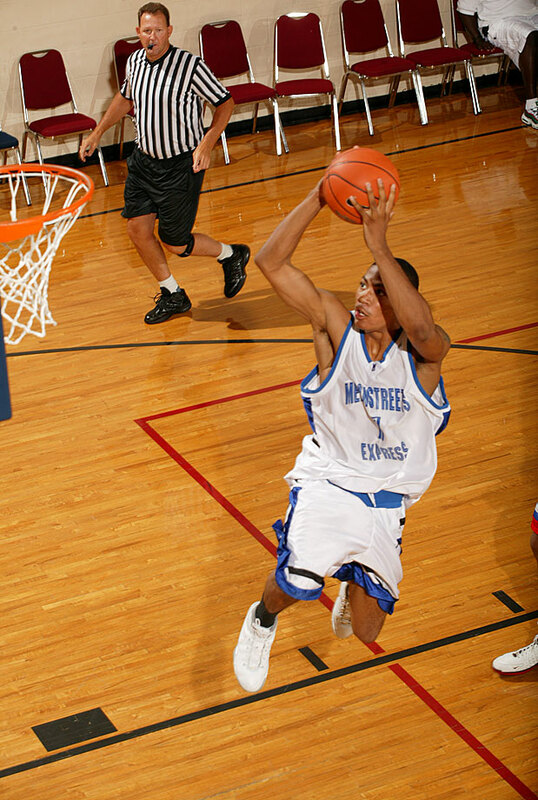 Derrick Rose also became known for his impressive dunks at Simeon and with the Meanstreets Express. 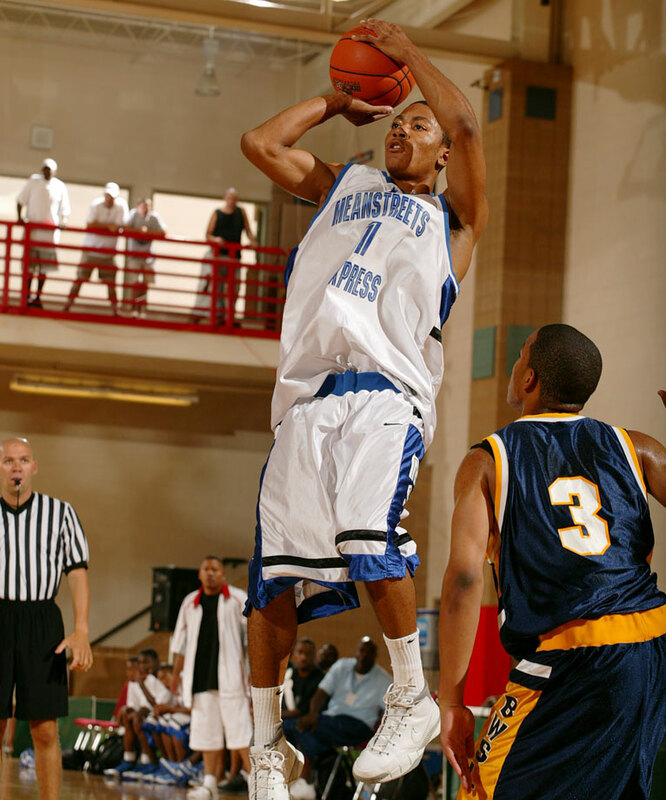 Among Derrick Rose's many accolades in his final year of high school: being named to the USA Today All-USA Team, being selected to the 2007 Parade Magazine All-America Team and being named Illinois' Mr. Basketball by the Chicago Tribune . Derrick Rose was also named the decade's third-best point guard by ESPN RISE, behind Wake Forest prospect Chris Paul and T.J. Ford. 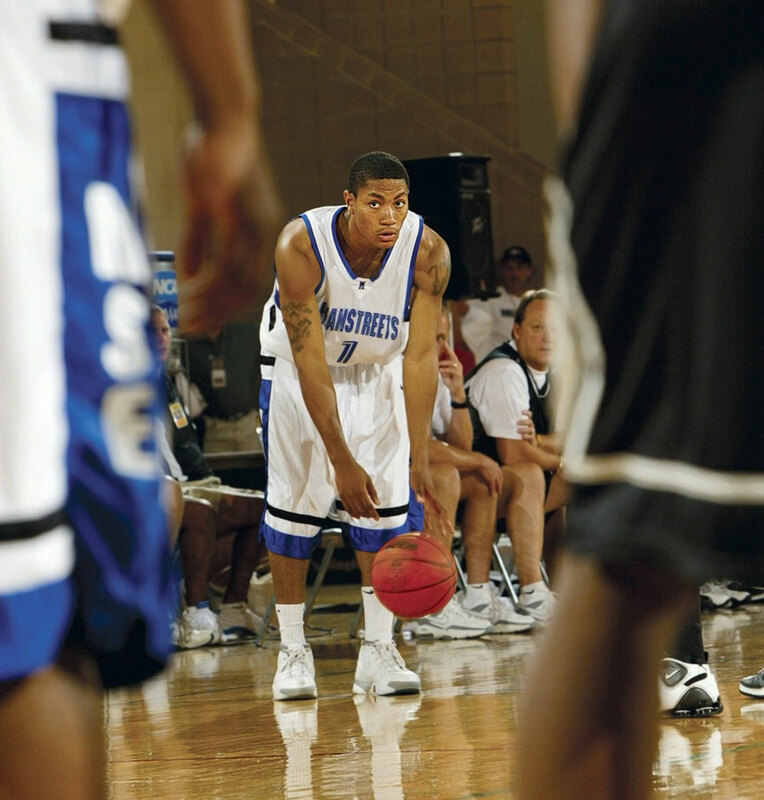 Though he accepted a scholarship from the University of Memphis, Derrick Rose only spent a year away from his hometown before being selected with the first overall pick in the 2008 draft, by the Bulls.